I have a couple of sessions I'm going to post in one blog today. Both of these sessions were done with the same amazing family! When Breanne contacted me to discuss a maternity/family session, I was excited. Breanne was a little hesitant, as her last experience with a professional did not go well. I wanted to talk to Breanne about what she didn't like with her last photographer to make sure we didn't have the same issues. After several emails back and forth, we booked a session. Breanne liked the family photos she had seen in my portfolio at the Henry's Woods location in Rogers. This is a very popular location with families and photographers, due to the red barn and bridge in the woods over a stream. The park has two distinct features that give a feeling of where Breanne and her husband Mark both came from. The dense woods are reminiscent of Mark's upbringing in the North Woods and the red barn is reminiscent of Breanne's in Illinois's farm country. At that time, Breanne's family consisted of her and Mark, and their cute almost-one-year-old son, Connor. Breanne was due in late August with a baby girl. We took some great photos of the family first, and while my daughter Baylee kept Connor busy, I took some couple photos, and ended with some maternity photos for her. "Sheila and her lovely assistant, Baylee, were easy going and friendly, making them a joy to work with. I loved that Sheila showed us some of the shots she had taken as we went and gave great direction during posing. And Baylee was amazing with Connor!" A while after their family session, I heard from Breanne regarding newborn photos for their upcoming new little one, Eleanora. I had only done one other newborn lifestyle session, and had been thinking about adding it to my offerings, so I agreed. 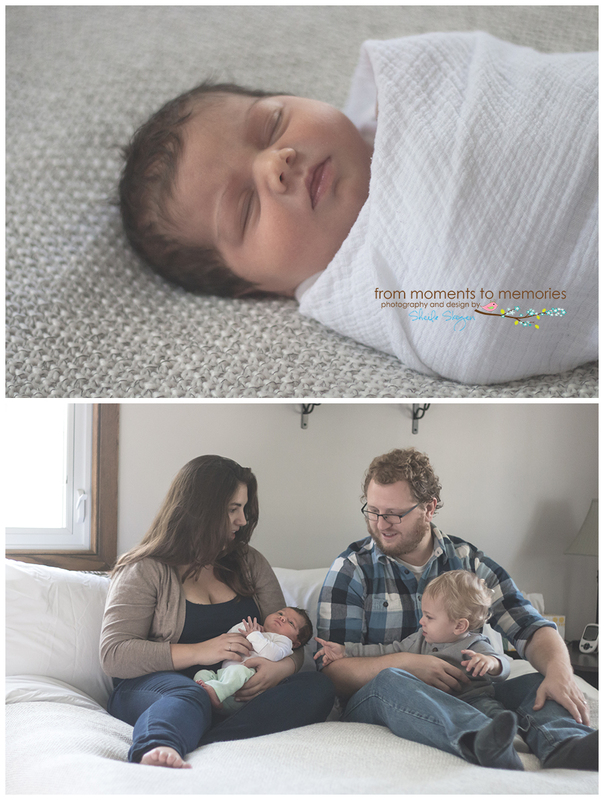 Eleanora was a few days old when Breanne and Mark welcomed us into their home for a newborn lifestyle session. She was so adorable, and the entire family was amazing. I don't think I did half bad for my second newborn lifestyle session. 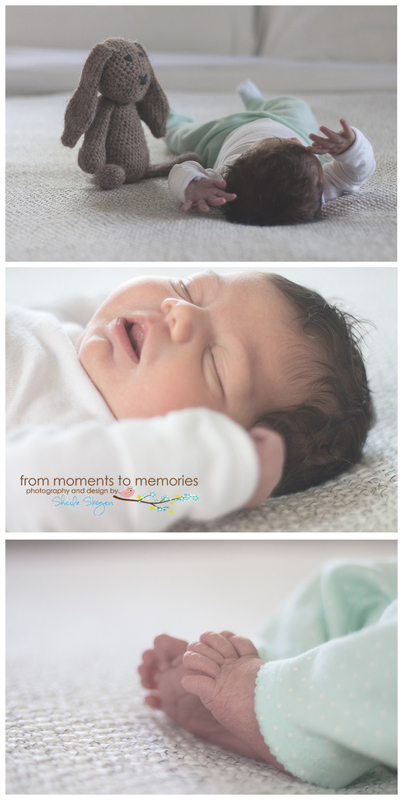 "We worked with Sheila for a lifestyle newborn shoot. She was enthusiastic and had so many great ideas for images. Sheila was so patient when working with our newborn and toddler. She got amazing shots of the two of them together as well as great images of our whole family. Not only is Sheila a very talented photographer, but we also appreciated her professionalism, bright attitude, and creativity. She is definitely worth hiring and we look forward to working with her in the future!" Thank you, Breanne, and I definitely look forward to photographing your beautiful family again!